PERT Formula (Part 4): We saw the formulas for PERT estimate, variance and standard deviation of an activity duration in study guides, and accepted them like Newton’s three laws of motion. Did we try to figure out how those formulas were derived? Do we know the underlying assumptions? Is there a magic in these formulas that allows them to predict the outcome of something as unique as a project? Can these formulas predict the project outcomes accurately? Are these formulas actually being applied in the real world? We’ll find some answers in this article and remaining in the upcoming ones. 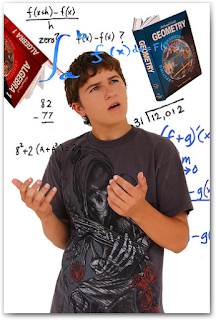 But please be forewarned - if you are math-averse, this stuff may divide your head by zero! In Say Hello to PERT, we learned that PERT estimate is a weighted average (mean) of the 3-point estimates. In order to get the mean of the 3-point estimates, PERT makes several assumptions and approximations. The first assumption is that an activity’s completion time is a random variable, with clearly defined end points i.e. the completion time lies within a finite range. The minimum value of the range is the Optimistic (O) estimate and the maximum value is the Pessimistic (P) estimate. In other words, there’s no probability of the activity duration being less than O or more than P.
This assumption fits the definition of a Beta distribution. A beta distribution is a continuous probability distribution curve within a finite range. The peak of the curve is the mode (M, Most Likely value) of the distribution. A beta distribution is determined by 4 parameters - a minimum value, a maximum value and two shape parameters. The two shape parameters α and β determine the shape of the beta distribution curve on the left and right of the mode (peak of the curve) respectively. We get a symmetric curve when the two shape parameters are equal. 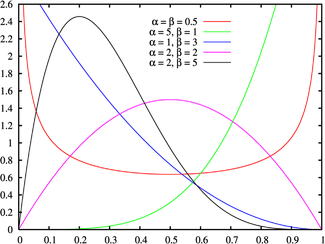 Refer to the following image (source: Wikipedia) that shows 5 different samples of beta distribution between the range of 0 and 1 (a = 0 and b = 1). Note: The case where a = 0 and b = 1 is known as the standard beta distribution. Let me clarify that we have switched the variables above. O has been replaced with a, the minimum value, P with b, the maximum value, and M with m, the mode. Equation (4) means that the curve is skewed toward the right, and (5) means it’s skewed toward the left. 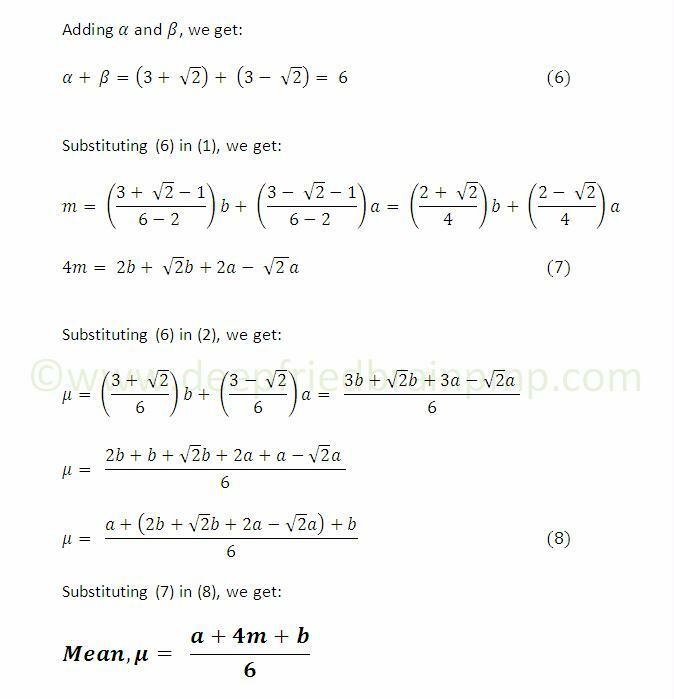 Substituting the value of α and β from either (4) or (5), we can solve equations (1), (2) and (3) to get the values of mean, variance and standard deviation of the distribution. PERT gives 4 times more weightage to the mode or the Most Likely estimate. 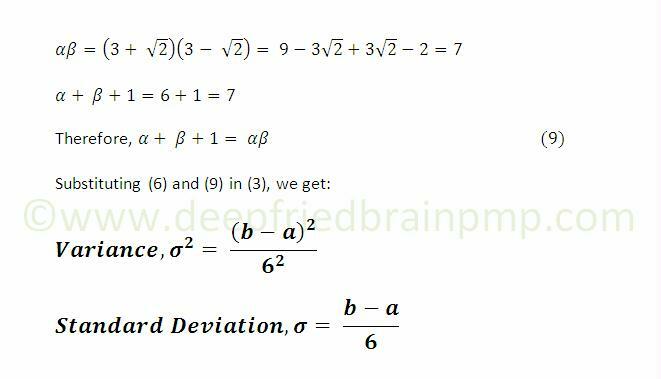 As noted above, these formulas are accurate only for specific values of α and β. These values are rarely true in practice. In follow-up articles, I’ll discuss the problems with the assumptions and approximations, and the limitations of PERT in detail. Stay with me. We are just warming up. Thank you for all your posts (yes I've been reading them as well). I've been teaching PM for 2 years now and this is the first time I've been able to grasp PERT and CPM together. You're doing such a fabulous job that I told me students to come to your blog. Thanks again. That's a great compliment, Fawzia. Thank you so much.